I can’t help but notice we haven’t had any kittens here in a while. Frankly the kittens probably appreciate the time off. From the “adopt me, put me out of my misery” section, right next to tupperware. 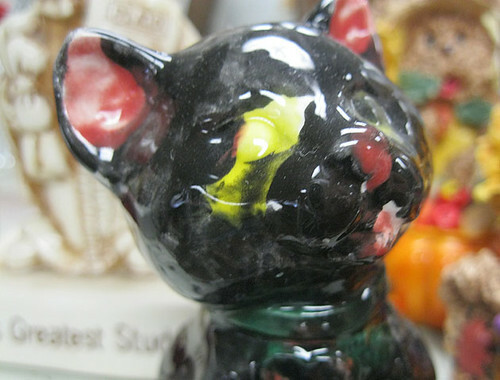 This is the Victorian chimney sweep of amateur paint job cats. There is nothing right with him. The best you can say is “well, the black coat is evenly applied,” but after that, you’re really grasping at the straws of acceptability. The ears don’t look entirely like small pools of blood. And that’s a good thing. At least the artist didn’t try his/her hand at painting the sad little thing’s heart collar. It probably would have looked like a biology lesson gone pear-shaped. 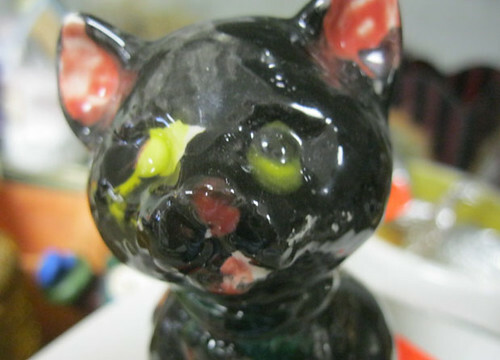 But nothing’s quite as nauseatingly, runningly bad as the poor thing’s eyes. I want “muery” to be a word. It would fit. As always, I turn to my first line of defense in linguistic problems, Urban Dictionary, which says that “muery” is “when you smoke so much weed that your voice drops an octave and becomes muppet-like.” Which doesn’t really fit. No, what I’m looking for is a word that means “like a small, sad tide-pool filled with sick, but with a delicate seasoning of irony.” There must be a German word for it. And of course the poor critter’s muzzle is just as tortured as the rest of its face, like it heavily into self-destructive dental procedures to end its miserable existence, but now it’s just got a bad case of pug-muzzle and its “Fancy Feast” tastes like copper. 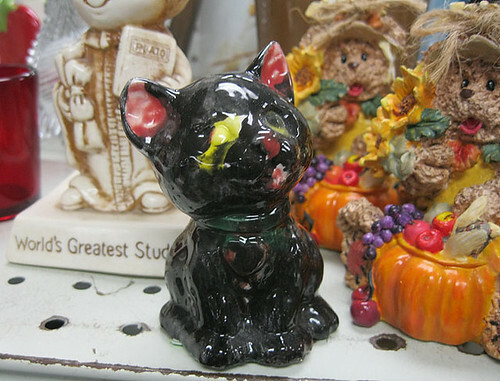 My only hope is that eventually, like all ceramic art at Goodwill, some lucky five-year-old will try to see if the poor creature bounces, and it’ll be out of our mutual misery. But I’m sure it’s out there somewhere. I can hear it mew-burbling in my dreams. 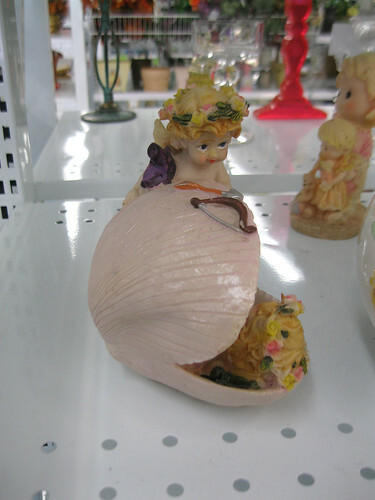 Goodwill on Metric and 183, a land of dark and shattered dreams and want. We grow them automouses big around here. This is what you get when you let drunks in boxing gloves paint.